The culinary skills and recipes from South East Asia, covering the Indian subcontinent, has now gained popularity with people from all around the world. The taste of the cuisine is unlike the conventional cuisines of the west, edging on the spice quotient. The Moguls, with their advent in this region brought along Persian and Turkish influenced flavors in mouth watering recipes like Kebabs, Biryani and other curries that are a part Mughlai cuisine. With gradual passage of time, the recipes of these curries have evolved as well, into more globally recognized cuisine. People do not have the time to spend hours in preparing for these curries and spices as they were made originally in these regions and the process has thus been simplified over time. However, despite all of this progression, this South Asian cuisine has retained most of its flavor details and its original methods in cooking. The names of these dishes, having their origin from the Mogul Dynasty, arise mostly from Persian background with Persian being the official language of the Mogul court. These delicious dishes have a version of meatballs in curries called Karhai or Koftas. 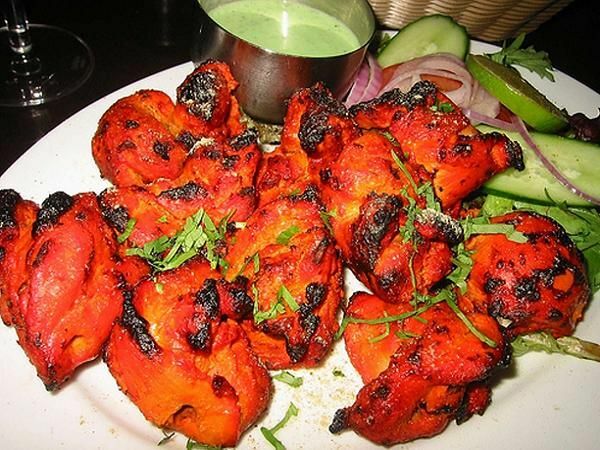 Karhai is a chicken curry made with lots of tomatoes whereas the barbequed skewered chicken pieces are called Tikka. There are also mince meat recipes called Qeema, a traditional saffron infused rice dish names pulao, a meat concoction with spicy inclinations made using a number of traditional herbs are known as Nihari. With all these curries, they have a famous bread known as Naan which is usually a fluffy and round bread similar to Pizza bread, whereas the flatter version is known as a chapatti. There is also a fried bread preparation named as paratha. The Naan is either served traditionally or stuffed with various mouth-watering ingredients like mince making it Qeemanaan or potatoes making it Aloonaan. As most of these dishes were the regular foods to be served in the King’s court, they had to be regal in their preparation. Hence Cottage cheese, traditionally called paneer was added to enhance the flavor and richness of the regular vegetable curries of the likes of spinach and peas. Some vegetable dishes that pleased the taste buds included BhigaareBengan- a preparation of egglants cooked in herbs and spices with a pickled taste. Other dishes include aloogobhi and pickles or achaar are used to enhance the flavours of these foods. These pickles are prepared from various fruits or vegetables with the most popular one having been made of mangoes, garlic cloves, green peppers, lemons and carrots. This cuisine also has some of the most gastronomically pleasing and delectable desserts. GulabJamun, a desert with a subdued rose flavor are small balls dipped in sugar syrup which please most taste buds. The Sheer Khurma is a dish of roasted vermicelli cooked in sweetened and condensed milk. Other desserts include a rice pudding popularly known as kheer, a jam like desert made by preserving fruits in sugar known as murabba, retaining the nutritional goodness of the fruit. While most fruits can be used for it, the most famous fruits used for murabbas are mangoes, apples and apricots. Also, there are other side dishes and versatile desserts that make the mughlai cuisine one of the most appreciated in the world. Aladinbricklane.net offers to you the best curry houses in the world! You’re in for pleasing your taste-buds! Get notified by email !